Taras Perun was graduated from the Engineering and Technology department of the Chernivtsi State University (1978-1984), and post-graduate course of the Department of Correlation Optics of the same university. Since 2007 Taras has been the Member of the National Union of Photographic Artists of Ukraine, the Head of the Chernivtsi Regional NUPAU Organization since 2009, the Member of the Admissions Committee of the National Library of Ukraine. He is the author of 8 personal photo exhibitions, participated in more than 50 international and domestic collective exhibitions in Ukraine, Romania, Germany, Austria, Italy, Poland. 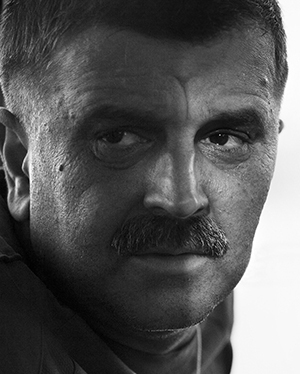 T. Perun is one of the founders of Chernivtsi People’s Photo Club “Positive”. Genre and street photography, monochrome landscape, alternative techniques of photographic printing.